Problems with sewage? We can get to you in under one hour! Every year we make roughly 4,500 call-outs to clean drains, sewers and pipelines. We serve Prague, the Central Bohemian Region or larger orders as well as the greater Czech Republic. Why? We’ve a fleet of 12 vehicles delivering the most powerful technology, Trust us we could even unblock sewage clogged by an elephant. Plus we’re fast, efficient and offer unbeatable value for money. In case of emergency call us on +420 722 153 921 from 6.30am to 6pm. If you don’t have a sewage cleaning emergency, you can just order using our Online form. There’s no sewer system we can’t handle. From municipal sewers, water mains gutters, outdoor pipelines and standpipes to household drains and plugholes. And we’ve over 12,700 satisfied customers to prove it. With over 23 years of experience we guarantee you a professional and efficient service while also giving value for money. Our powerful technology is up to 4 times more effective compares to standard cleaning vehicles meaning we get the work done in no time. Our recycling vehicles have water tanks with ample volume for cleaning long sections. 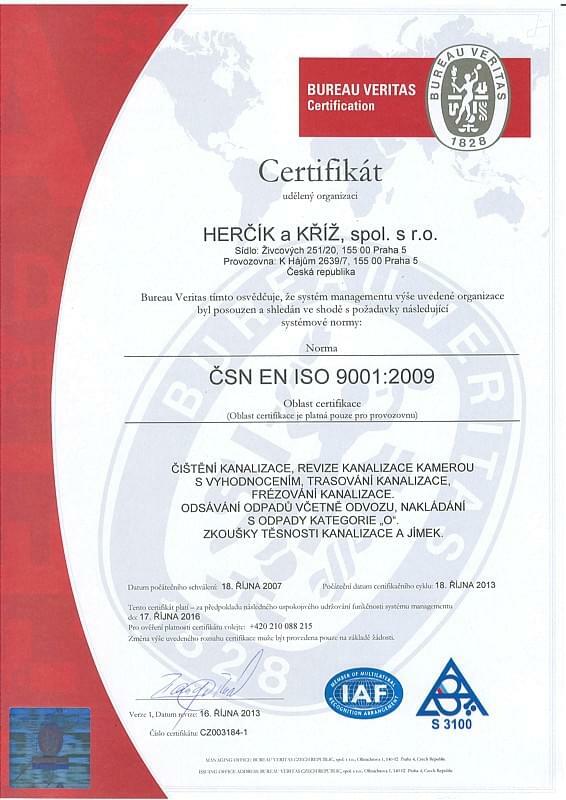 And the quality of our work is professionally accredited correspond to the ISO 9001:2015 certificate. Plus you’ll only ever pay once you’re sewage is perfectly clean. Even if we have to clean the pipes 10 times you pay only for general cleaning. And v our price includes the labour of at least 2 technicians. We comprehensively solve all problems involving sewage. Look no further! Using our camera system we assess the pipeline condition and establish the cause of blocking. Once we’ve assessed the condition we’ll let you know what repairs are required and give you a quote. We repair pipelines by milling, trenchless repairs or excavation. We also clean fragile household drains. We use recycling vehicles for cleaning gutters, sewers and pipelines in municipalities, corporate campuses and water management facilities. Our systems suction back impurities contained in the water, recycling it immediately and using it for further cleaning. 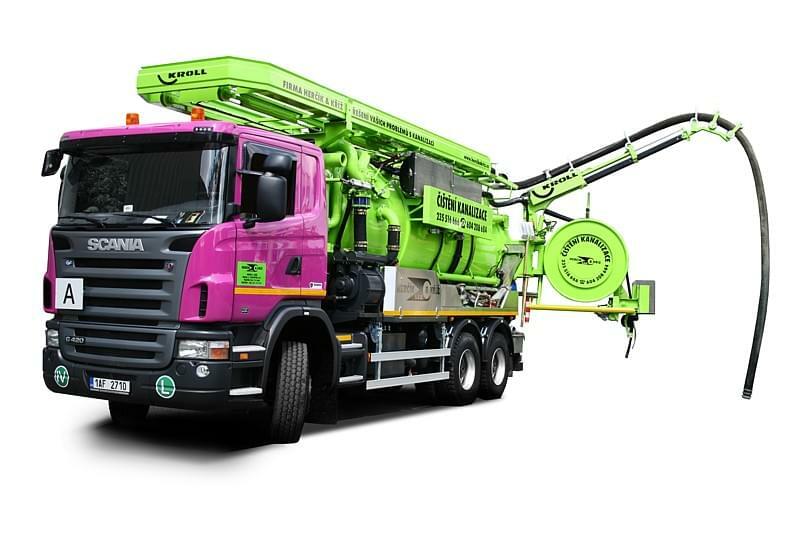 Our other vehicles are designed for cleaning sewage, household drains and smaller pipelines. They’re also equipped with technology for cleaning using pressurised water and motor spirals. We clean any sewage system in just 1 trip. "The Department of Local Administration of the Municipal District of Prague - Zbraslav were delighted with the professionalism and quality of Herčík and Kříž’s services. They completely solved our sewage problems." "All of the work was done smoothly and performed to the expected quality agreed as to range and deadlines without any problems." "We were especially impressed with their professional approach, flexibility and reasonable pricing considering the range of services delivered"
8 Why call on Herčík and Kříž for sewage cleaning? Describe your problem and a member of our team will advise you, calculate the estimated price and arrange a date for the call out. Or we can also come to see the defect and propose a solution. In case of an emergency, it’s better to call +420 722 153 921 from 6.30am to 6pm. The best performance-to-price ratio for cleaning sewers and pipes of all types. We provide the most powerful cleaning vehicles ensuring work is efficient and cost-effective. Our equipment has large volume tanks, so water lasts longer so we do not need to deliver it or use your water.